VietNamNet Bridge - Meeting barriers in export markets, Vietnamese garment companies are trying to return to the domestic market. The 1997 Asian financial crisis caused big upheavals and changed the fates of many enterprises. The escalating labor costs and the lack of experience in international markets caused difficulties for companies doing outsourcing, such as An Phuoc. An Phuoc’s owner Nguyen Thi Dien decided to shift to focus on the domestic market. At that time, the domestic market was the playing field of the ‘big guys’ such as Viet Tien and May 10. Dien decided to exploit a niche market by selling high-end products. 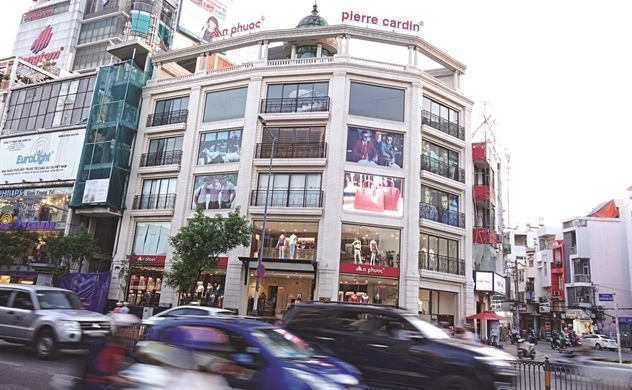 From one shop in HCM City, An Phuoc now has more than 100 shops nationwide. As for Viet Tien, the company began spending big money on branding in 2016 with its budget increasing by 30 percent, developing products in different segments, from high-end to low-cost, and expanding distribution network and large-scale shops. Analysts, reviewing the 2018 business results of listed garment companies, found that their revenue was higher than the previous year, but profits were unchanged. This was attributed to higher input material prices and operation costs, including management, labor and shop maintaining costs. Together with the opening of Viet Tien House, the company also joined forces with Skechers, an US footwear brand, starting a program on working with international brands in the future. Vietnamese garment companies are doing both outsourcing for foreign partners and developing their own brands for the domestic market. However, exports remain the major revenue of the companies, with 80-90 percent of their output exported to the US, Japan, EU and Canada. The FTAs Vietnam has signed and the shift from OEM (original equipment manufacturer) to ODM (original design manufacturer) have improved their profit margins. They said the domestic market was challenging for garment companies, which mostly make products for export. Vietnam’s products are less competitive in both design and price. Meanwhile, Vietnamese consumers favor foreign brands. Vietnam’s fashion market was worth $3.5 billion in 2018 and the figure will rise to $4.7 billion by 2021, according to one report. However, the domestic industry can satisfy only 25-30 percent of demand. Millennials, or those born between 1980-1998, and centennials, or those born in 1996-2010, will make up 50 percent of Vietnam’s population in the next decade. Fashion brands will have to develop new strategies to attract these customers, according to Vu Thi Thu Dung from Kantar Worldpanel Vietnam.